You are going to Watch Naruto Shippuden Episode 128 English dubbed online free episodes with HQ / high quality. Stream Anime Naruto Shippuden Episode 128 Online English dub Tales of a Gutsy Ninja ~Jiraiya Ninja Scroll~ Part 2.Due to the Third Great Ninja War, Jiraiya, Tsunade and Orochimaru are sent to the Hidden Rain Village, where they are named the “Legendary Sannin” by Hanzo of the Great Salamander. 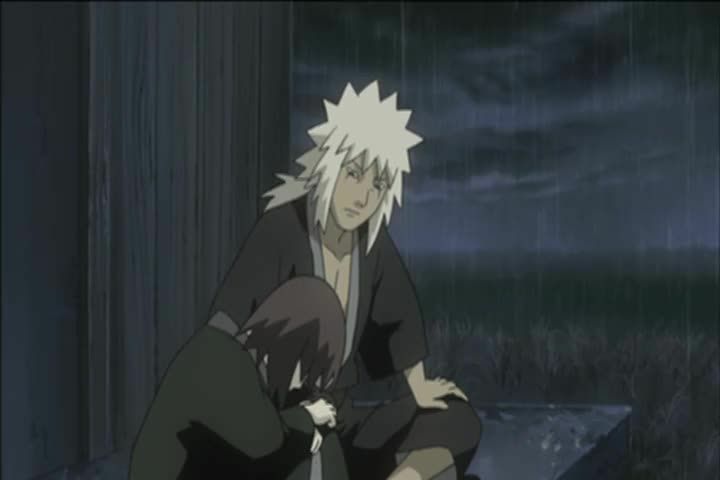 While in the village, Jiraiya meets with Yahiko, Nagato and Konan who request help from him. Jiraiya accepts and proceeds to train them before returning home. He is later informed that all three children were killed.